1. 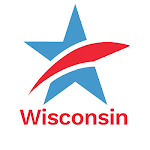 Wisconsin's Fall Primary Election was moved up a month last year and will occur on Tuesday, August 14th -- smack in the middle of prime Summer vacation time. Turnout is expected to be historically lighter than ever before. But the primaries loom large, especially this year, after the most partisan, secretive redistricting process in Wisconsin's history occurred last year resulting in fewer truly competitive state legislative and congressional general election districts than ever before. As recently as 1998, there were four or five competitive congressional districts in Wisconsin. Now, there is arguably only one -- the Eighth Congressional District in the Fox River Valley. But even that district is now less competitive than it was before the 2011 redistricting law was signed into law. What this means is that in many districts, the "real" election will occur in the upcoming primary elections on August 14th. Common Cause in Wisconsin Co-Chair Bill Kraus looks at this problem and why it needs to be reformed here. 2. Last month, CC/WI called on the Governor and the Legislature to get together this Summer and enact a package of bipartisan political reforms. The Milwaukee Journal Sentinel featured our reforms in a guest editorial that appeared in their Sunday Cross Roads section; it also appeared in The Capital Times. These reforms were also the subject of an hour-long program on Wisconsin Public Radio, and CC/WI Director Jay Heck addressed about 200 people on July 10th at the Milwaukee Rotary Club and received very positive feedback. The vast majority of the citizens of Wisconsin want bipartisan solutions to this state's problems and they "get" the need for elected officials of both major political parties to work together for the greater good instead of for their own narrow partisan interests. In fact, the only folks who do not like our proposed reforms are the partisans on the far right and left who thrive in the current atmosphere of nasty divisiveness and bitter recrimination. The last thing they want is bipartisan cooperation on anything. Reform of the recall election process, the redistricting process and a strong election disclosure law is not likely to happen this Summer or anytime this year, as we had hoped. There is too much dysfunction in state government right now. But political reform will come and it must be bipartisan in order to occur and to last. Many of Wisconsin's citizens are beginning to demand it. Join them! 3. State Senator Tim Cullen (D-Janesville) is one of Wisconsin's greatest proponents of bipartisanship. That, clearly, is one reason why he has faced great difficulty lately in the current hyper-partisan political atmosphere in the Capitol. Cullen has tried to find "common cause" with Republican State Senator Dale Schultz of Richland Center on some issues, including political reform. They are the co-authors of a measure to reform the redistricting process, which we strongly support. And both support campaign finance reform. Both have been viciously attacked by some extreme partisans from within their own parties for daring to stray from the strict party line and trying to reach across the partisan divide. We are proud to call Tim Cullen one of our own. From late 2008 until early 2010, when he resigned to run for the State Senate, Tim was an effective and valued member of the State Governing Board of CC/WI. With vast experience in state and local government and in the private sector, Tim Cullen is easily one of the most intelligent and thoughtful members of the Wisconsin Legislature. And one of the most courageous. And he is one of the very few "adults" in public service today. No matter how this current political drama plays out, we wish him the very best. And we stand with him. 4. Wisconsin is doing something right in the election arena, at least compared to other states. We rank among the top five best states in the nation when it comes to election ballot procedures such as requiring the use of paper ballots and a verifiable paper ballot "trail" to be used in conjunction with the optical scanners that most polling places in Wisconsin utilize. National Common Cause undertook the examination of election measures in all 50 states in conjunction with two other organizations. The press release about Wisconsin is here. On the release are links to the entire study, including details about Wisconsin and other states. CC/WI led the statewide legislative effort to pass and enact into law the measure requiring that every voting machine in Wisconsin provide a verified paper ballot in order to ensure that every vote is counted accurately and to avoid the controversy that has occurred in other states over verifying certain votes cast. The bipartisan (there is that word again!) measure was passed in the Legislature in late 2005 and signed into law in early 2006.